2 July 2018, at 12:00a.m. Although Africans have always consumed significant amounts of pork, over time, most of it has been imported from Europe. In recent times, pig farming, and in some cases pork processing, are becoming attractive options. Pork production is gaining prominence in Africa as a major industry, and as a provider of employment and food security. Pork consumption in Africa has always been significant, in spite of widespread religious restrictions and cultural concerns. For many decades, tons of barrels of imported pork, mostly trotters, have landed at African ports, and pork is commonly used to add flavour to soups and stews. Consumption has increased substantially due to Africa’s increasing population, urbanisation and rising disposable incomes across the continent. Most importantly, a new breed of educated African “porkpreneurs”, with strong management skills and access to capital, are running profitable enterprises. Over the next few years, these producers are expected to reverse the current trend of African countries importing substantial amounts of pork products. But to achieve this, they have to meet the challenge of producing high-quality feed at modest cost, by mobilising unconventional feed sources, especially agricultural co-products. Most of the official local pork production and import figures are under-reported, given the rapid developments in the continent’s industry. An example of this under-reporting is the fact that Malawi is often not counted as a major pork producer. Yet a 2014-15 pig inventory assessed the country’s pig population at 3.6 million (higher than Uganda’s 2.1 million), and the industry is fast expanding in Malawi due to better support from government and NGOs. Another example is Nigeria’s often-quoted pig population of 7.1 million: but this figure is derived from the National Agricultural Sample Survey of 2011, and does not reflect the radical changes which have taken place in the industry since then. Apart from the pig population having more than doubled since the last census, “pig fat” production is attracting quite a number of Nigerian farmers, and could expand the industry considerably in the near future. In an interview with News Agency Nigeria, as reported in Nigeria’s Sundiata Post, Fortune Alabi, CEO of Fresh Farms, told that production of pig fat was more profitable than pork meat, and that pig farmers were making good profits selling to industries which use them as raw material in the production of pharmaceuticals, margarine and other products. “Presently, we are not even able to meet the supply of pig fat to these industries. We encourage more farmers to invest in pig rearing, as there is enough room for more hands to come into the sector,” Alabi is quoted as saying. Nigeria’s 2017 lard imports amounted to $10.2 million, according to the global trade platform Tridge, while other African countries import sizeable quantities of lard for use in the confectionary, soap-making and pharmaceutical industries. According to the FAO, pork consumption in Africa will increase by 3.3 percent up to the year 2050. And Victor Yamo, humane and sustainable agriculture campaigns manager at World Animal Protection, said at a recent forum in Nairobi that pigs are among the most intensively reared animals in Africa today. But in order to take full advantage of the prospects, pig farmers need to overcome the problem of high feed costs, an issue that has made the African poultry industry largely unprofitable and poses a major challenge to the aquaculture industry. African poultry and fish farmers spend close to 70 percent of their budgets on feed, and feed costs for pig farmers approach that figure. The main ingredients in these enterprises are maize and soya meal. Maize is also the main ingredient in human diets in Africa, and a raw material in the pharmaceutical and brewery industries. Supply is often erratic and it is not cheap. Soya meal is imported, and expensive, with African currencies’ low rates of exchange against the dollar. Some experts have recommended the deployment of cassava in pig production. A 2013 FAO report recommended the use of processed cassava in pig diets, but cassava is also a major human feed source, and also an industrial raw material. Several unconventional sources have been found by researchers to be viable pig-feed alternatives, and quite a few are being used in Africa. Wheat bran and palm-kernel cake are used by pig farmers in Ghana and Nigeria, although researchers recommend the use of further processing to deal with anti-nutritional factors. The deployment of cheaper, unconventional materials in commercial production will provide the industry with a badly needed thrust. But the challenge is to balance lower costs with overall value and return. Belfast-based Devenish Nutrition’s outpost in Uganda provides a valuable template which could help transform the African industry. 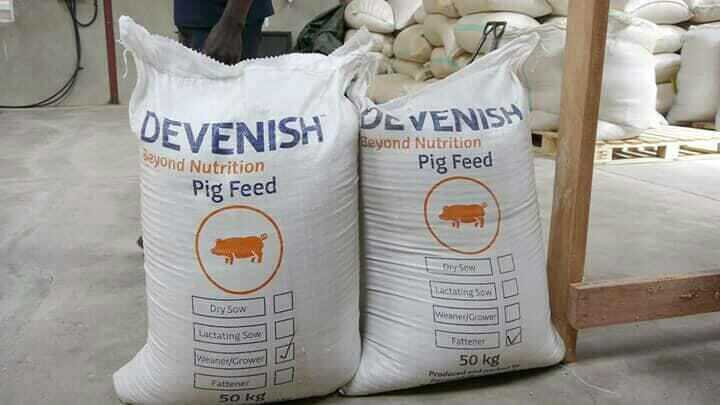 The company’s specialised feeds mill in Uganda produces feeds for dry sows, lactating sows, weaners/growers and fatteners, from locally sourced ingredients. Albert Jonah, a pig farmer based in Osogbo in Osun State, Nigeria, which he describes as Nigeria’s “Pork State”, looks forward to the availability of good-quality commercial feed. “The demand for pork is huge,” says Jonah. 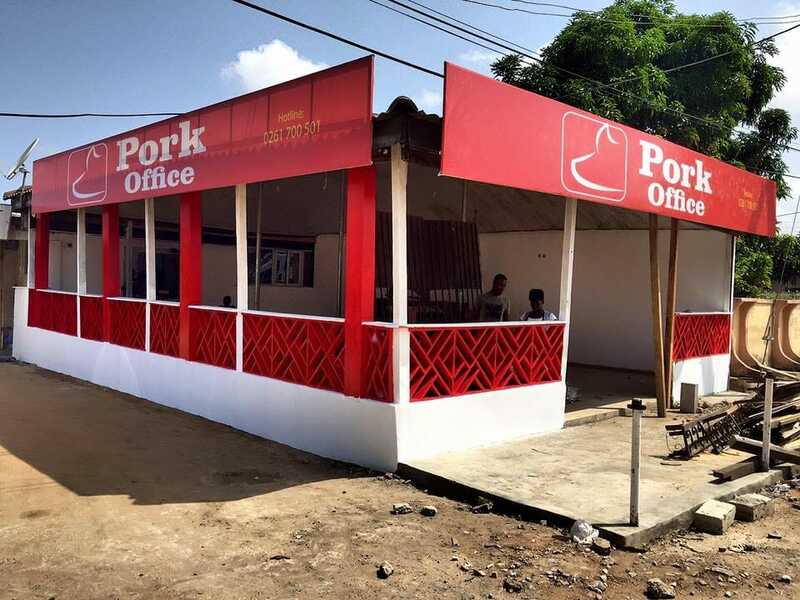 Africa’s new breed of porkpreneurs, then, can be commended for the bigger volumes of pork products, and the commendable quality of processed products that are appearing on the shelves. But they need to do more to match the ever present foreign competition. And good-quality commercial feed holds the key. who has been working in livestock feed distribution for four years.